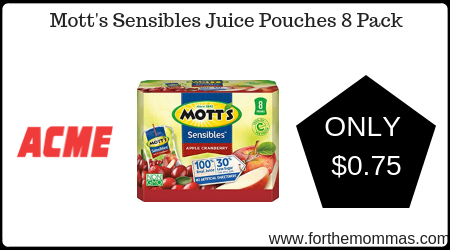 Acme: Mott’s Sensibles Juice Pouches 8 Pack ONLY $0.75 Each Starting 2/8! 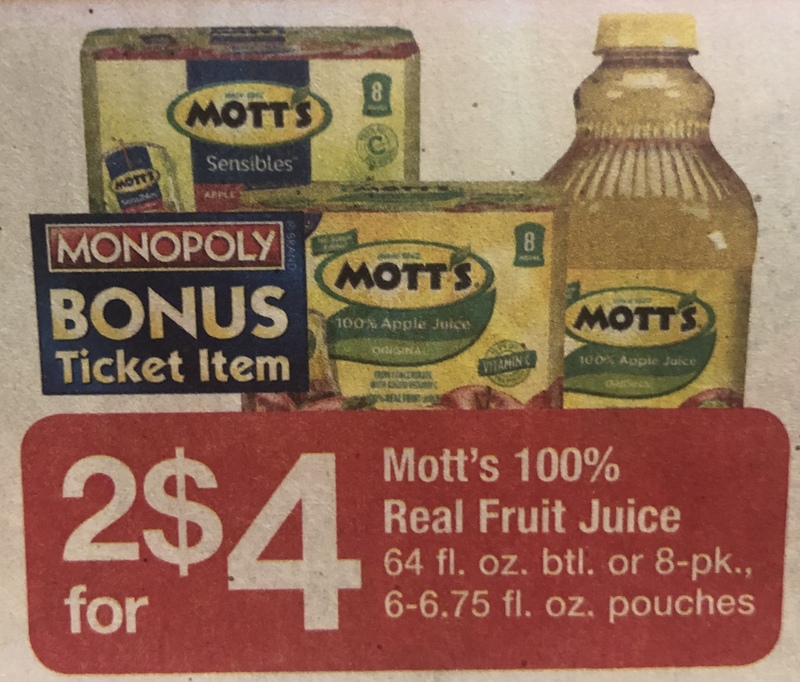 Starting 2/8, Acme has a great deal on Mott’s Sensibles Juice Pouches. It is priced at $2.00 each, plus we have a Mott’s Juice or Sauce coupon insert to use on this deal that will further reduce the price. Stack it with an Ibotta rebate that will make the final price just $0.75 each!